When your teeth meet something cold, hot or sugared, sensations are led directly to the nerves by canals, which provokes pain. 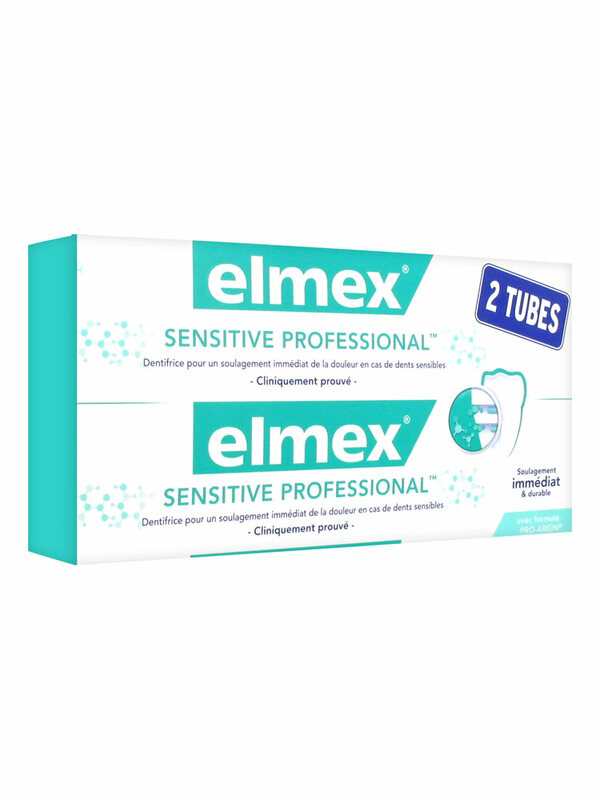 Elmex Sensitive Professional 2 x 75ml Pro-Argin formula, is a toothpaste that immediately alleviates the pain in case of sensitive skins. It works by blocking these canals, in order to prevent pain. Used regularly, it forms a long lasting protective barrier that can be used as a wall against sensitiveness. Pain is immediately relived, and for long. For adults, apply once or twice a day, directly with fingertips on the sensitive skin, massaging during 1 minute. For children under 12: apply with a supple toothbrush, taking care of brushing all the sensitive skins, twice a day. Indication: Sensitive teeth and gums. Best toothpaste for the sensitive teeth. 2. For adult daily teeth brush.